Throughout our years of work in engineering and government, we’ve seen the potential of drone-based Light Detection and Ranging (LiDAR). For projects that are a square mile or less, it would be faster and more cost effective than collecting LiDAR data using manned aircraft. But the challenge has always been in matching the traditional method's quality of data outputs. At PrecisionHawk, we’ve assembled a team to overcome this challenge—led by LiDAR expert Jamie Young. He’s a pioneer of the technology, with more than 20 years of experience leading geospatial firms. His work has included sensor development, applications development, data acquisition and data processing. Jamie and his team are focused on achieving data resolution and accuracy that exceeds the expectations of professional businesses and government agencies. “As I assessed the drone space, it became obvious that the UAV companies who were working on this technology were still in the early phases of delivering LiDAR data that meets the expectations of the broader geospatial industry,” said Jamie Young. Young’s team is producing standardized LiDAR deliverables with metadata and formats that parallel those that our geospatial and government clients use now. In addition, he’s integrating LiDAR datasets into existing client programs and developing specialized commercial applications. To support these efforts, we’ve added the mini-vux LiDAR by Riegl to our service offering. The device’s positional system doubles our flight team’s efficiency—giving them the ability to fly drones up to 100 meters without negatively impacting data quality. Also, the sensor improves data accuracy by nearly five times that of its predecessor—delivering survey-grade data to our engineering clients. His vision is shared by PrecisionHawk, which is to advance drone technology and support customers as they pioneer new practices in aerial intelligence. Ultimately, we hope our efforts help drive the acceptance of drones as an asset to the business and geospatial communities. They’re communities in which Young is deeply involved. 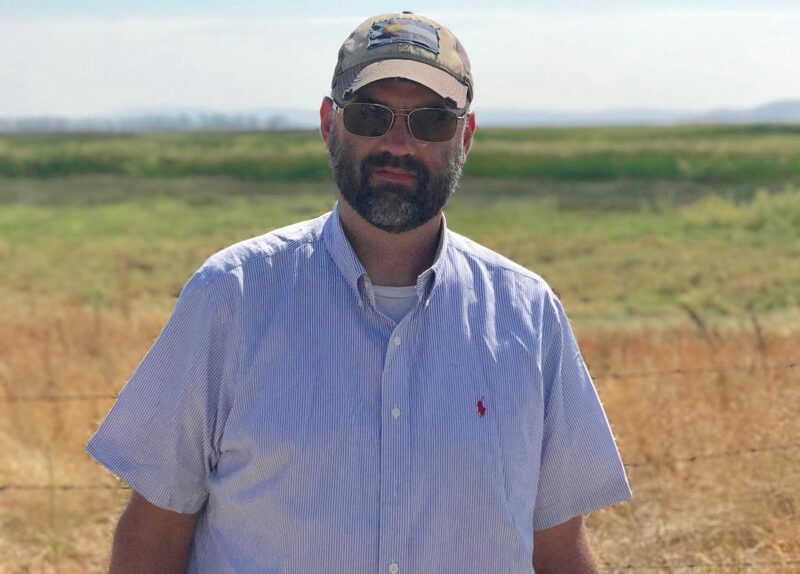 He’s a member of the American Society for Photogrammetry and Remote Sensing (ASPRS) and the Colorado state chapter of the Management Association of Professional Photogrammetric Surveyors (CO-MAPPS), as well as a technical advisor and contributing author to LiDAR Magazine. Jamie is also the author of ‘LiDAR for Dummies’ and creator of the Wilder LiDAR blog, which covers all things LiDAR. PrecisionHawk and Jamie Young share a singular passion for unlocking the potential of drone technology. And we’re excited to have him on the team! To learn more about LiDAR and how to add aerial intelligence to insurance programs, visit lp.precisionhawk.com/pioneer. Or speak with a PrecisionHawk expert today.